What on earth is aquaponics? 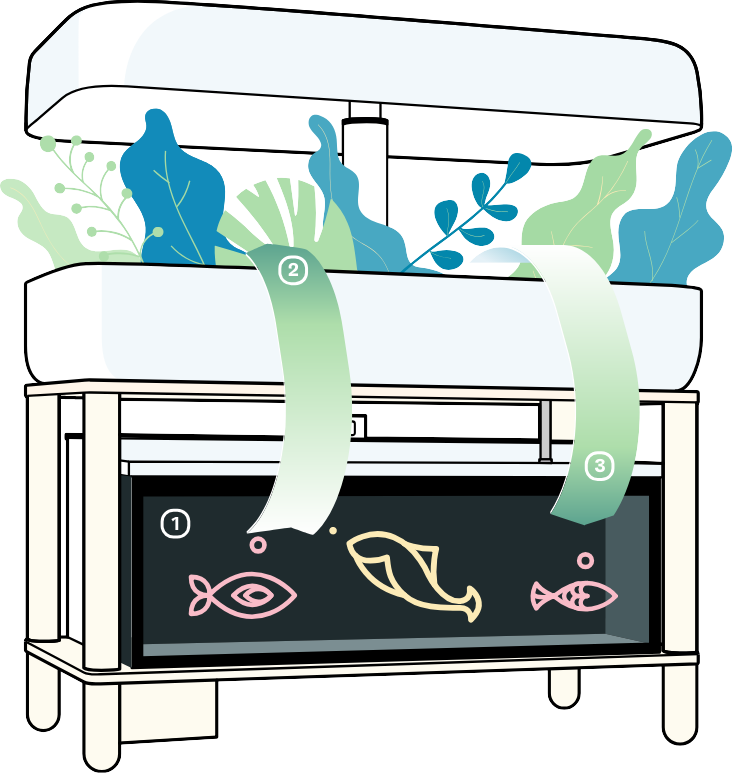 Aquaponics is the age-old process of raising fish and cultivating plants together. The fish, plants and microbes create a symbiotic relationship just like in natural, outdoor ecosystems. This process nearly creates a closed-loop of water and nutrients constantly flowing through the system with water usage approximately 90% more efficient than traditional soil cultivation. Aquaponics is a soil-less process that uses clay pebbles to support the habitat for the plants and microbes. Aquaponic production generates no harmful waste. Aquaponics is a game changer that can help us transform our food production on land and in water to be more sustainable. 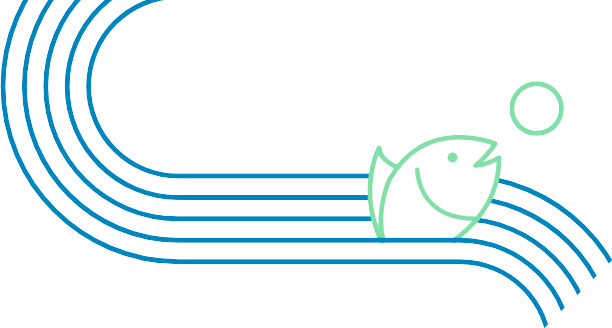 On a larger scale, aquaponics can be used to grow fish for food, meaning vastly more efficient water and land use that can produce healthy vegetables and abundant animal protein all in one ecosystem. Adding fish food to the ecosystem begins the nutrient cycle. As the fish metabolise their food, they create nutrients that end up in the water. Nutrient-rich water from the fish tank flows seamlessly into the grow bed, mimicking the natural rise and fall of water in ecosystems. Plants then feed off the available nutrients thanks to the work of the microbes and have everything they need to grow. As healthy vegetables grow, they purify the water for the well-being of the fish. Of course, the well-being of people is important too. Being in the presence of nature and nurturing plants, which purify the air, has been proven to enhance well-being and cognition. Additionally, underwater life has a calming effect on people that can even lower blood pressure.